The Supreme Court (SC) of Pakistan on Thursday (Nov 8) declared the “irregularities and illegalities” in former chairman and managing director of Pakistan Television (PTV), Attaul Haq Qasmi, as managing director as well as the chairman of the state broadcaster. Supreme court said that former ministers of information and finance, Pervez Rashid and Ishaq Dar respectively, as well as former principal secretary to the prime minister Fawad Hassan Fawad are responsible for Qasmi’s illegal appointment and the financial benefits he received. The 48-page verdict, authored by Chief Justice Saqib Nisar, stated that Qasmi will no longer be allowed to hold office. “These amounts are their liabilities and they must reimburse the same to PTV. However if they fail to do so within a period of two months, PTV is directed to recover the said amounts from them in the stated ratio as per the procedure in practice for the recovery of dues,” the judgement stated. The bench also noted that a “sum of Rs284,163,733 was paid to [Qasmi] and/or expense incurred by him or on his behalf”. The verdict further says that PTV is a public sector entity, therefore, the appointment and perks granted to Qasmi were open for scrutiny “particularly considering the seemingly arbitrary manner in which he was appointed, despite being overage”. The court order held Qasmi responsible for PTV’s “sharp decline both financially and in its reputation” because he lacked the “skill and experience of running a company”. 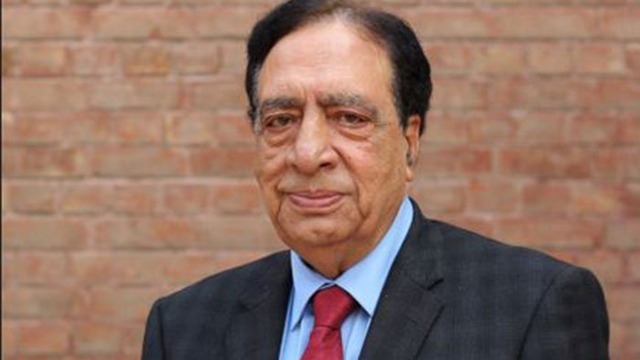 Qasmi’s appointment controversy was started in April 2017, when he appointed himself PTV MD while also remaining the chairman of the state-run broadcaster. Earlier, this year the verdict was revered by three-member Supreme Court bench headed by Chief Justice of Pakistan (CJP) Mian Saqib Nisar. Evaluation of Reproductive Biology of Sardinella SP.